With the prospect of Front National candidate Marine Le Pen becoming the next French president, and of France therefore quitting the euro, is it a coincidence that Germany is due to complete its biggest ever gold repatriation program years ahead of schedule? It’s natural that the Germans want their gold within reach given the political situation. While the Germans are up to their necks in the euro, gold is a proven long-term store of wealth, which governments have historically turned to in times of economic crisis. It’s also liquid, which means that if the euro fails, Germany’s gold stores could be used to buy dollars or back a new deutschemark. Germany knows the limitations of the euro. Many ordinary Germans are sick of bankrolling Europe’s weaker economies and have become uneasy about keeping their gold abroad. As a result of public pressure, Berlin announced in 2012 that it was bringing home the gold. The official line from the Bundesbank is that it’s got nothing to do with the euro. Germans are four times more likely to save as British people, and it’s quite ordinary for Germans to buy physical gold to ensure their financial security. 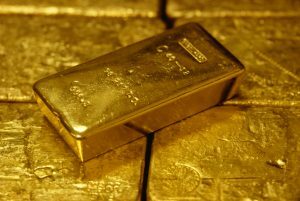 Germany has the biggest single central-bank holding of gold in the world after the US, which amounts to 3,390 tonnes, ten times that of the UK. The Germans aren’t alone. In 2012 the Netherlands made emergency plans for the euro crashing. Not long after, the repatriation of gold began. Austria has since followed suit, and Belgium is talking about it. Some believe that holding gold is pointless for governments. Great Britain’s Gordon Brown certainly thought so, which makes you wonder whether the cautious Germans are on to something. With a stash that’s valued at $150 billion and all the uncertainty out there, it’s no surprise they want it where they can get their hands on it. How Much Gold Should I Hold?